The kitchen is the heart of a restaurant and plays the most important role for your restaurant business. It is crucial to keep the kitchen clean and organize everything in a synchronized manner for your cooks or chefs to work properly. The food making activities can be divergent and differ from one restaurant to another. So, the pollutants and grease that get accumulated in the duct can be anomalous and harmful. It is very unhealthy for your employees to breathe and work in such detrimental environments such as vapours, smoke, and odours. Greasy fumes can increase the risk of catching fire as well as a health problem for your employees. The unclean working environment can be pernicious to the legal requirements of your commercial kitchen. It is also an offense under fire risk perspective (Section 17 of the RRO) regulations, not to maintain the standards. Hiring a professional Extraction, cleaning services help you to minimize the fire risk for your kitchen and comply with the regulations. It also enhances the reputation of your kitchen by protecting food from bacteria and preventing customers to get infected. So, hiring an industry approved Tr19 standards qualified cleaning services like Best Tech Services would be the solution for your all problems. Protection of Your Business and Customers: Retaining a clean kitchen and duct help you to comply with the regulations by maintaining the health of your employees. It is a known fact that professional cleaning system is more capable of eliminating grease, carbon monoxide, and heat while providing a convenient environment for working. Minimizing bad odours can also help you to keep your kitchen fresh and not let the bad odours spread to the customers. Bad odours can ruin the dining experience of your guests and damage the reputation of your restaurant. It is important for you to perform a safe cleaning to comply with safety and health standards to meet TR19 standards. 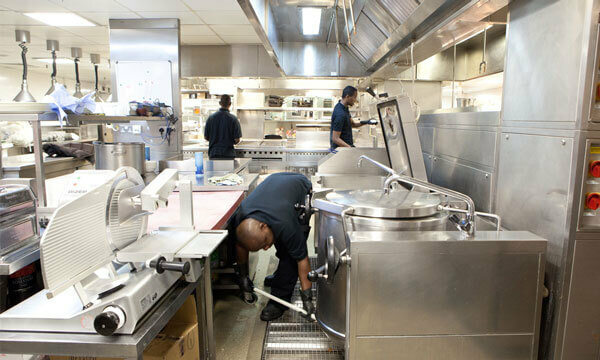 If your restaurant does not meet the appropriate standard of cleaning and extraction system, penalties can be imposed. You could also face imprisonment. You may be held liable for any kind of damage or loss related to the building and other people who visit your premises. The unclean and unhealthy environment can also cost your business negatively. People are the strength of any business and if you don't provide a healthy environment to work, it can make better performers leave. So there is always the importance of cleaning your kitchen extraction system and duct on a regular basis. If you would like to take advantage of risk management of our extraction system based on TR 19 standards, call us at 01782 765650.